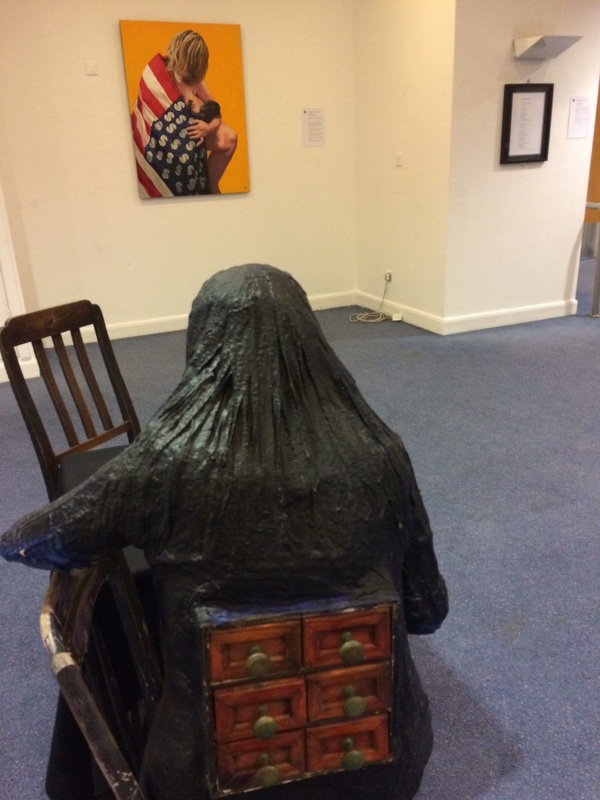 We are so pleased to be able to write with news that our wonderful Beatitudes exhibition opened at Swansea Grand Theatre on 21 November 2016 and will remain on view until 4 Feb 2017. 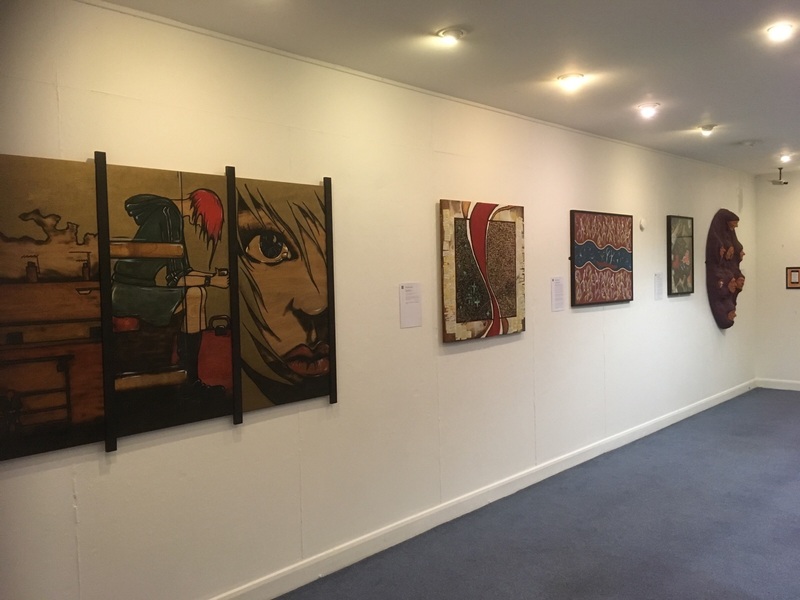 These eight pieces of work from seven different artists cover a wide variety of art mediums and pack a real punch as each artist poured their heart and soul into their work, drawing on Jesus’ words know as ‘The Beatitudes’ in Matthew’s Gospel chapter five. 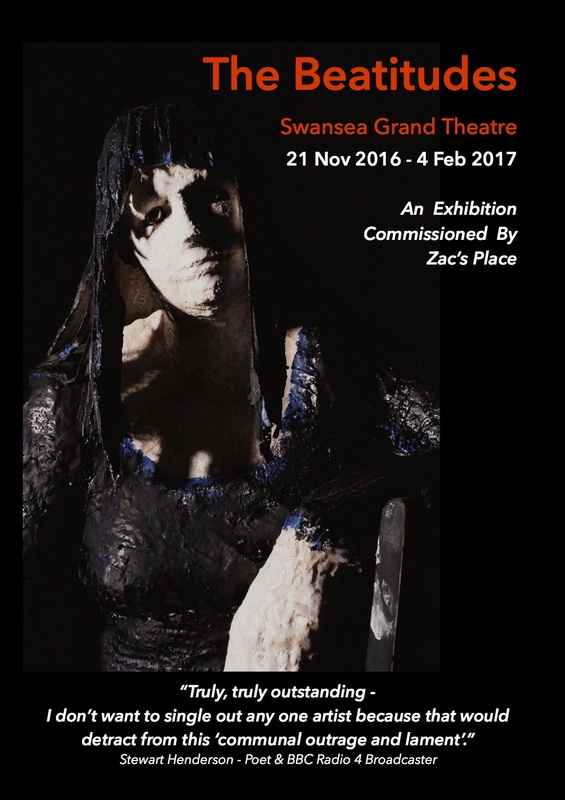 For the last ten years this work has been based at Zac’s Place and now is available to a wider audience. 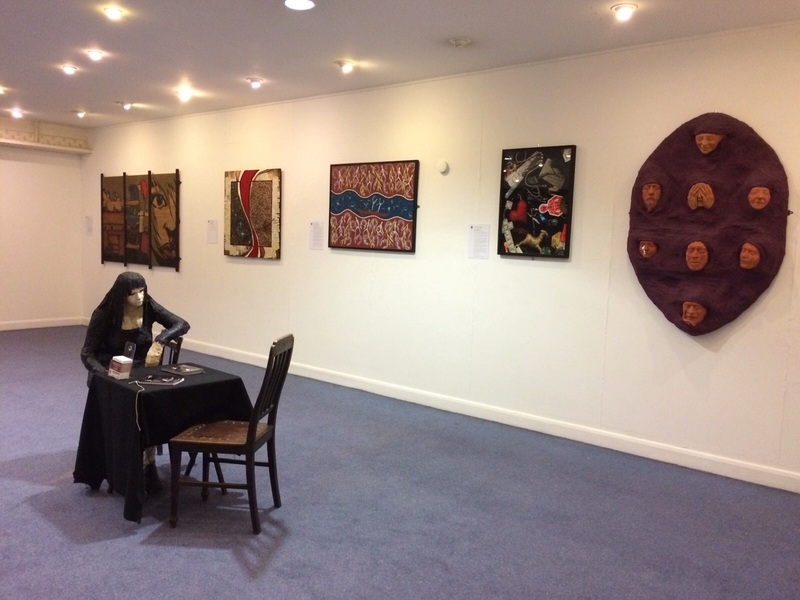 You can view that work for free on Level two of the exhibition area of the theatre whenever the threat is open, which is usually daily from 9.30am and until the end of the evening performances in the main house or the depot theatre. 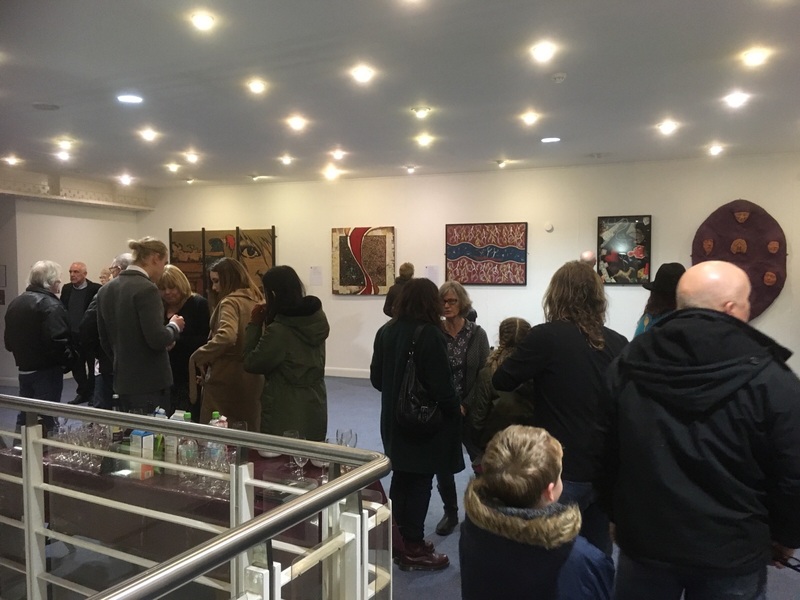 Please find below a few pictures from our opening night – hopefully they’ll serve as enough of a taster to get you along! It was great to have a couple of the artists there too! 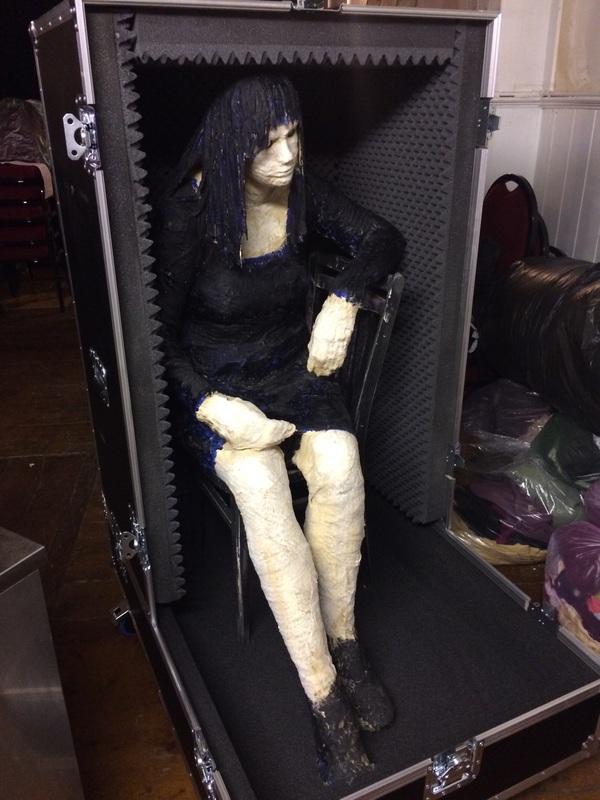 And here’s how they got there! 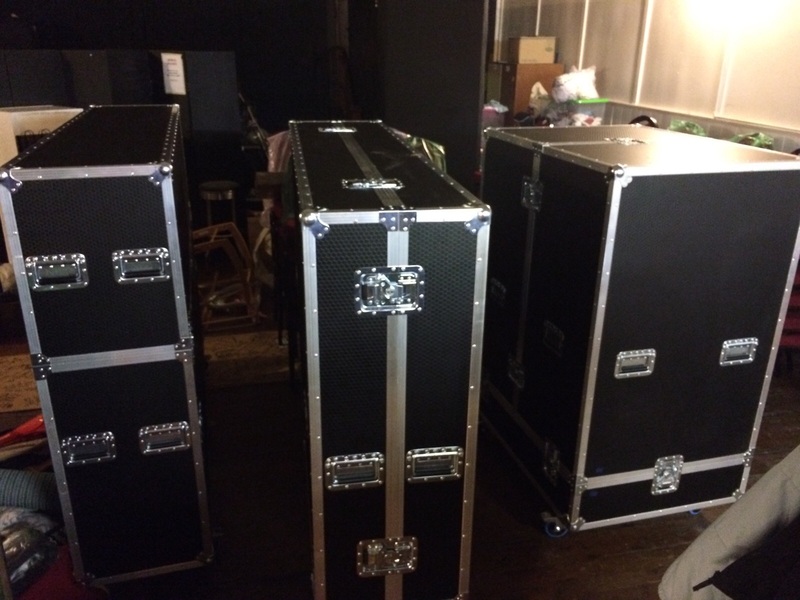 These cases now mean that the exhibition is available to travel to other venues.